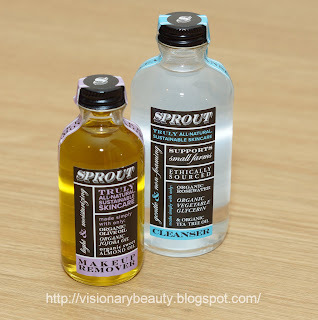 Sprout Skincare is a Brooklyn-based company that produces a natural range of skin and body care products. The products contain an extremely simplified list of ingredients and are handmade in small batches using only traditional methods. 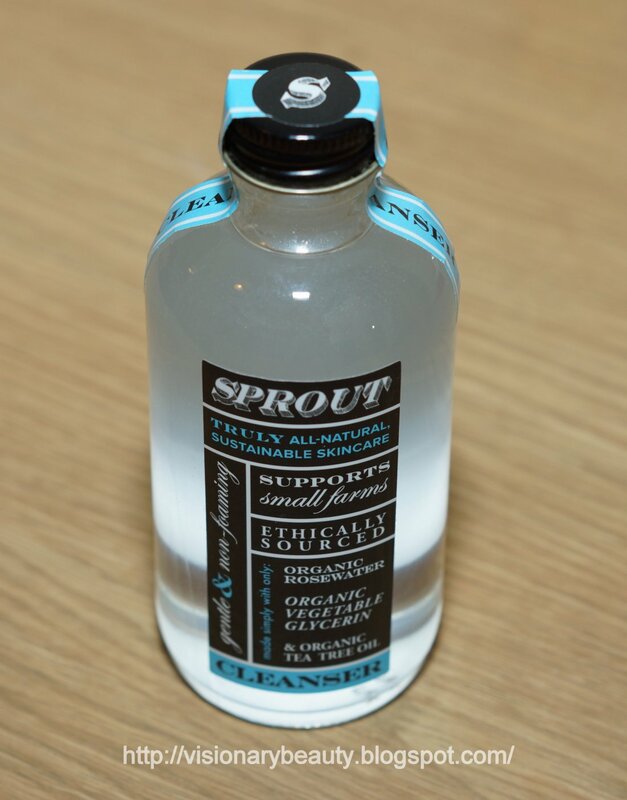 All of Sprout's ingredients are either certified organic, Fair Trade, or sourced from small family farms. They are also certified cruelty free by PETA and all products are Vegan Friendly. Though I was happy with my skin regime I always get intrigued with new brands. 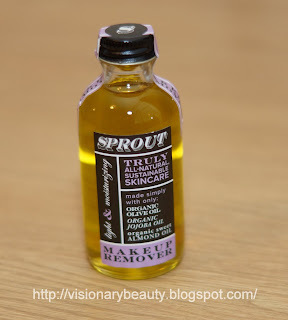 The makeup remover (£8) contains organic Sweet almond oil, Extra-virgin olive oil and Jojoba oil. 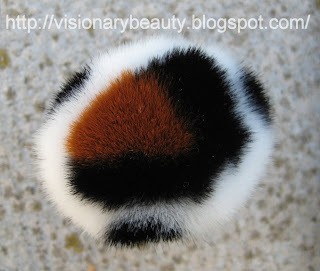 It has a good consistency, not too thin that it runs down your face but not so thick that it’s difficult to spread. It does remove my makeup well and also eye makeup (though can make your eyes a bit blurry afterwards) I do feel like it left a layer on my skin and felt a toner was necessary after use. The cleanser (£15) I used more as a toner as I felt like its ability to cleanse the skin was a bit limited, it felt pleasant on the skin and was not drying and worked well after the makeup remover to lift off the residue. 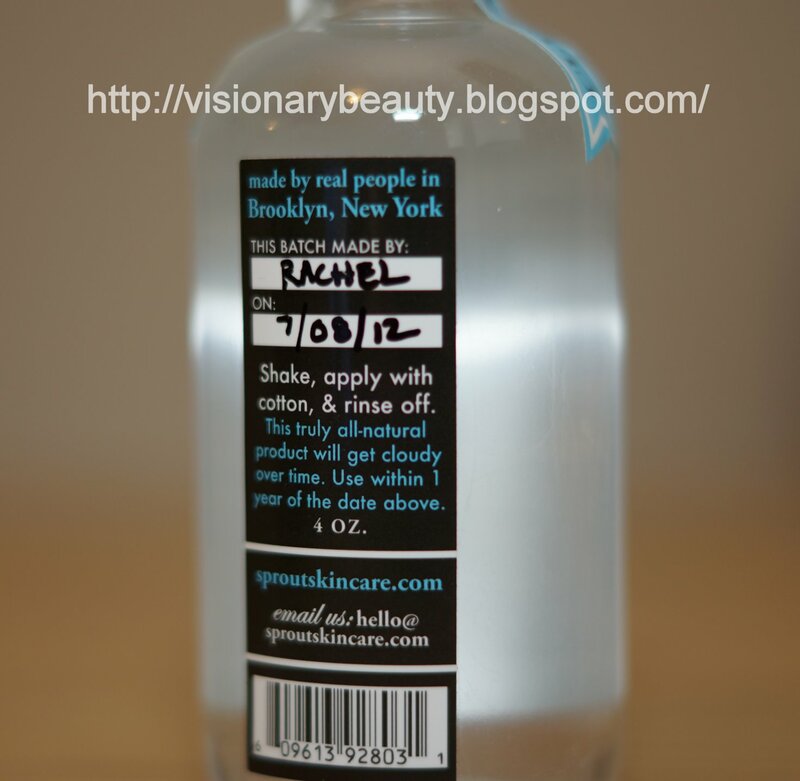 It contains organic Rosewater, Vegetable glycerin and Tea tree oil. 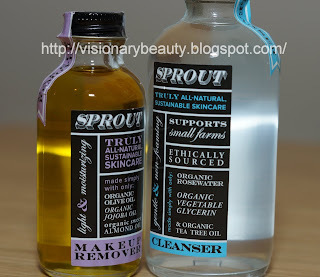 I really wanted to like these products and depending on your skin type I do think these could be an effective paring for cleansing/makeup remover, however whilst I think for sensitive skin simplicity is the way to go, if you don't get on with the ingredients then you have problems and unfortunately my skin did not get on with these. 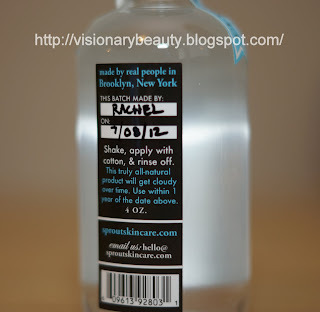 Using the makeup remover, either on its own, with the cleaner or with other brands, I got congested skin. With the cleanser, again on its own or with other products I got irritated bumps. 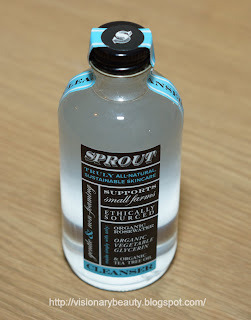 My skin is back to normal now after nearly a month due to my return to my trusty skincare brands (Pai, Ambre Botanicals and Omorovicza) and I think this little detour has made me realise I should really stick to what I know. For those new to my blog please note that I do have very sensitive/reactive skin so would not want to discourage someone from this brand who does not have said skin type. 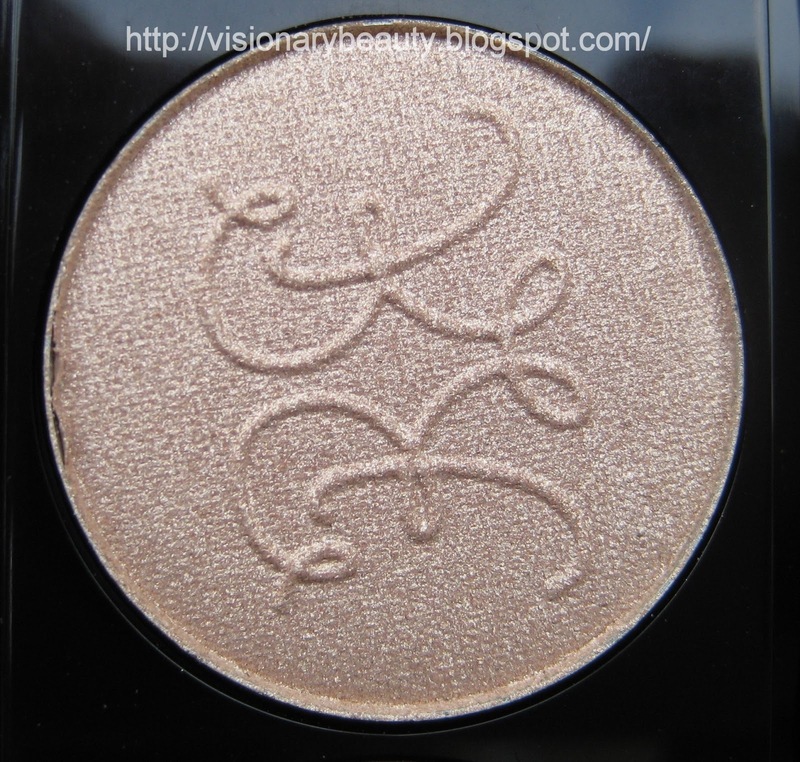 The Gypsy duo (£28) features a champagne and a rich, warm coppered brown. 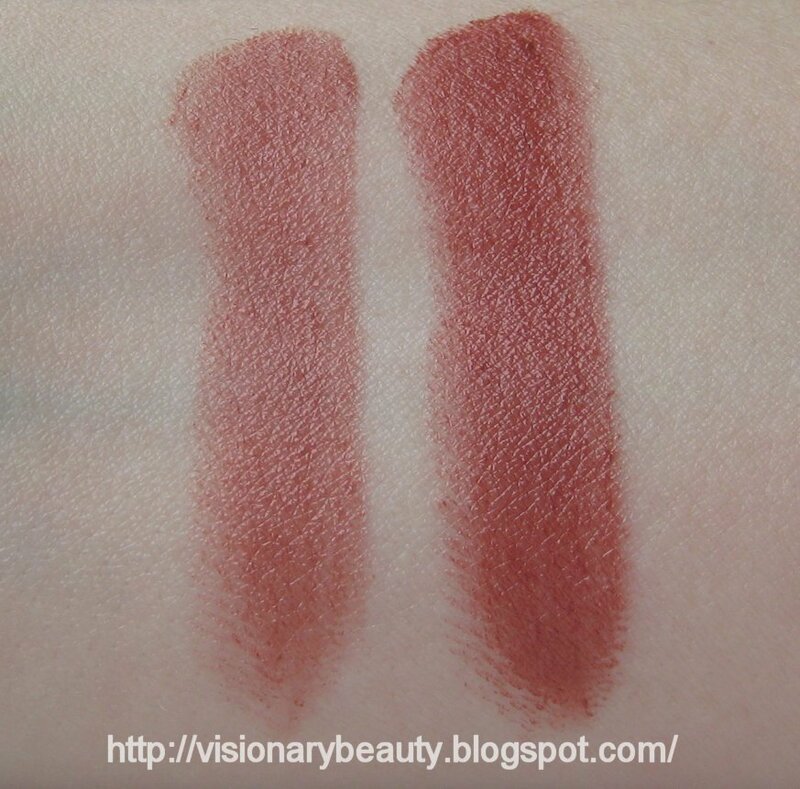 Both shades are gently shimmered. 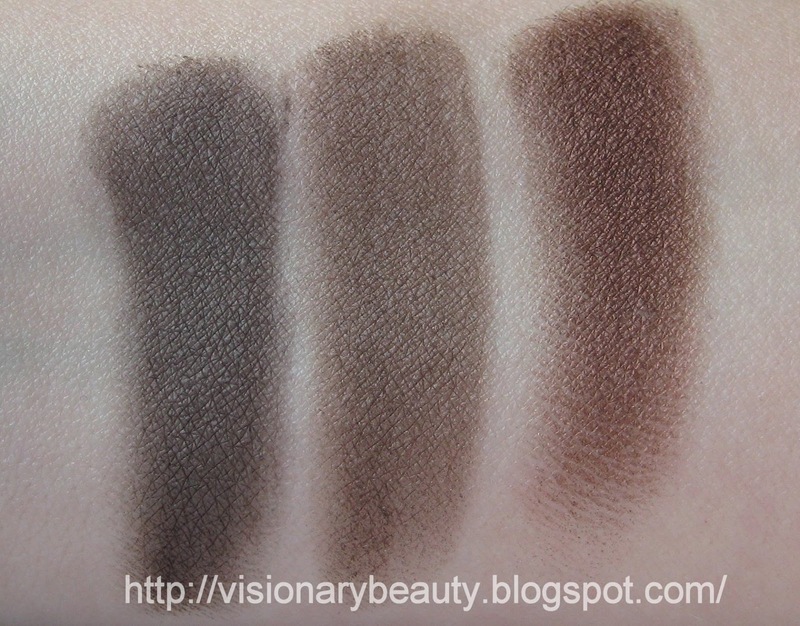 The quality of Hourglass eyeshadows is pretty much flawless; they feel silky smooth, have great pigmentation, blend and last well with no creasing. I only wish they would bring out some more shades. The duo is packaged in a mirrored compact with a 360° swivel top. 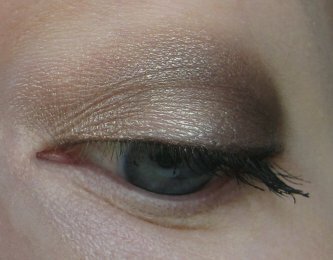 Apart from my liner I used the little brush that comes with the shadows to apply for the look below and I think it does quite a good job, its a nice change to have the included brush actually usable and non scratchy. Though I was initially worried this would be too warm for me, I find it very flattering. The Gypsy duo gives you a basic colour combination done to perfection. 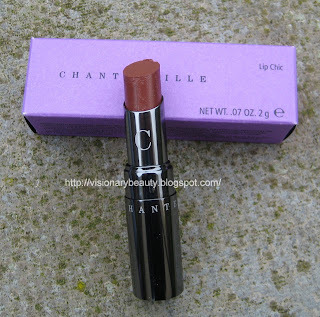 The Chantecaille fall collection contains two new Lip Chics (£30 each). 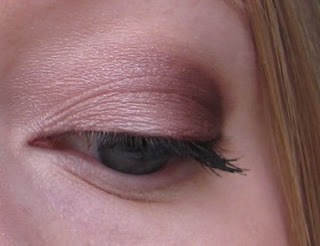 Amour is a neutral pink, its soft, pretty with just a hint of brightness about it. 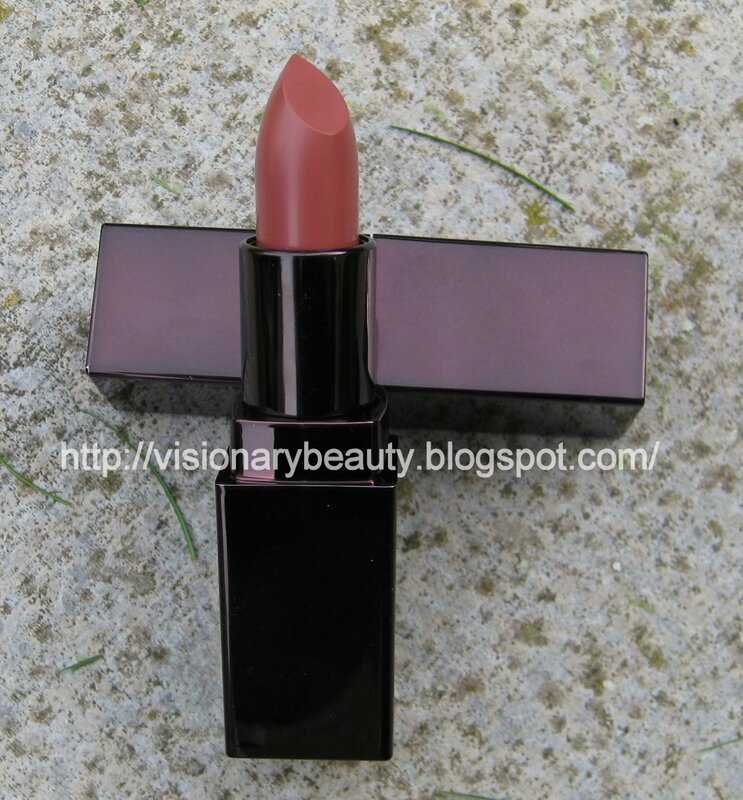 I can't say that its a unique shade but its a really well done pink and its one I'll get a lot of use out of. 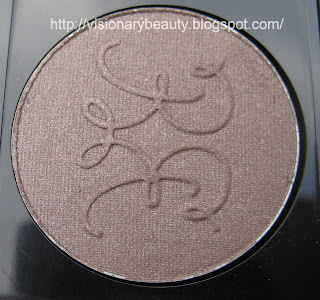 Contrastingly, the medium brown shade of Isis looks anything but enticing. 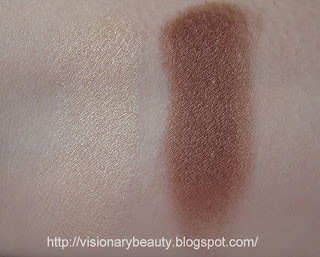 However, though it swatches as a slightly bronzed brown (with a very slight hint of golden shimmer) once on there is definitely a bit of rose in the mix. 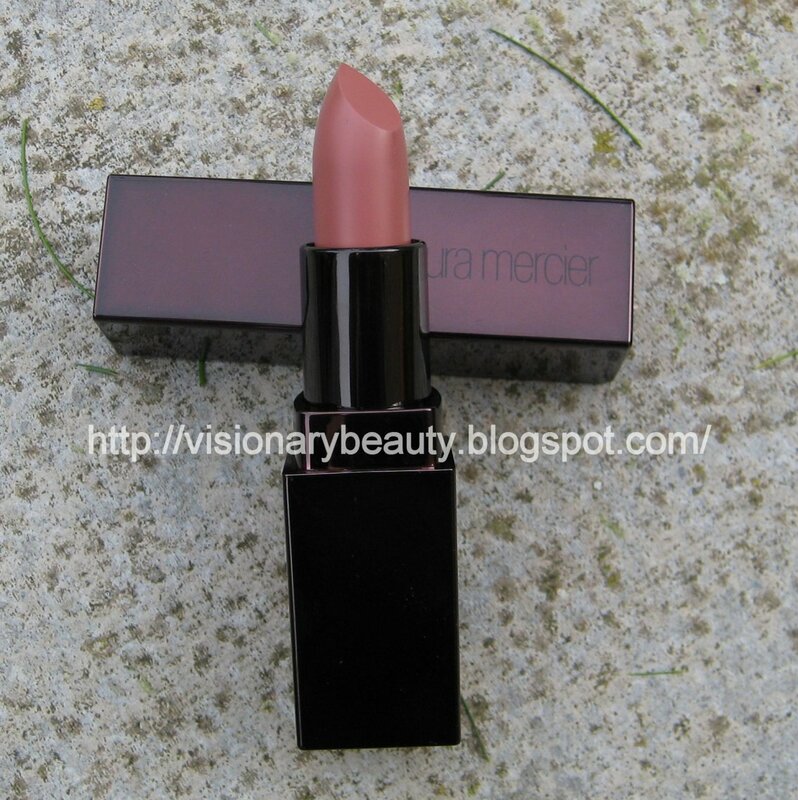 One of the few brown toned lipsticks that is flattering, had I'd seen this in the flesh I wouldn't have bought it, so sometimes there is an advantage to ordering sight unseen, as I have been wearing this almost everyday since I got it. 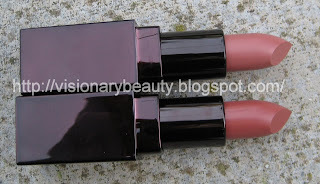 Both shades give a glossy look to the lips. 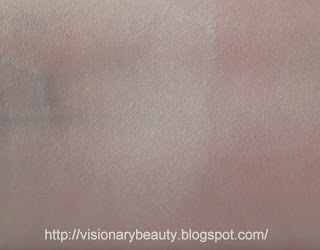 They have a balm like feel and are very moisturising, the only downside is that wear time is short. 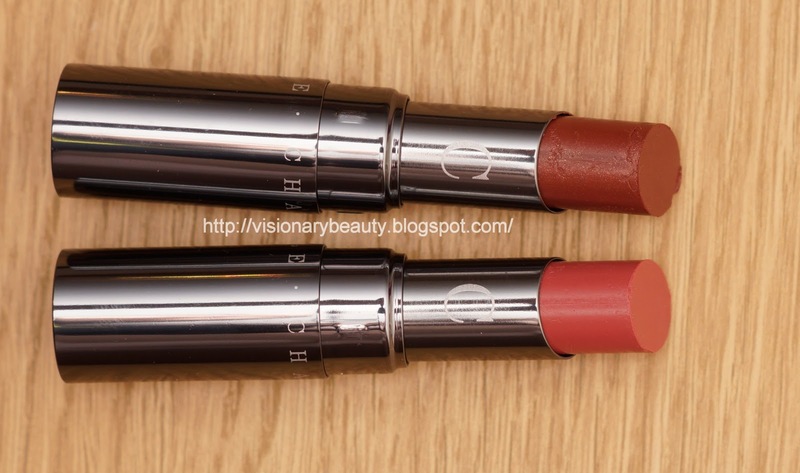 I'm very pleased with both and feel that though they are very different, they both complement the blusher and palette from the collection well. 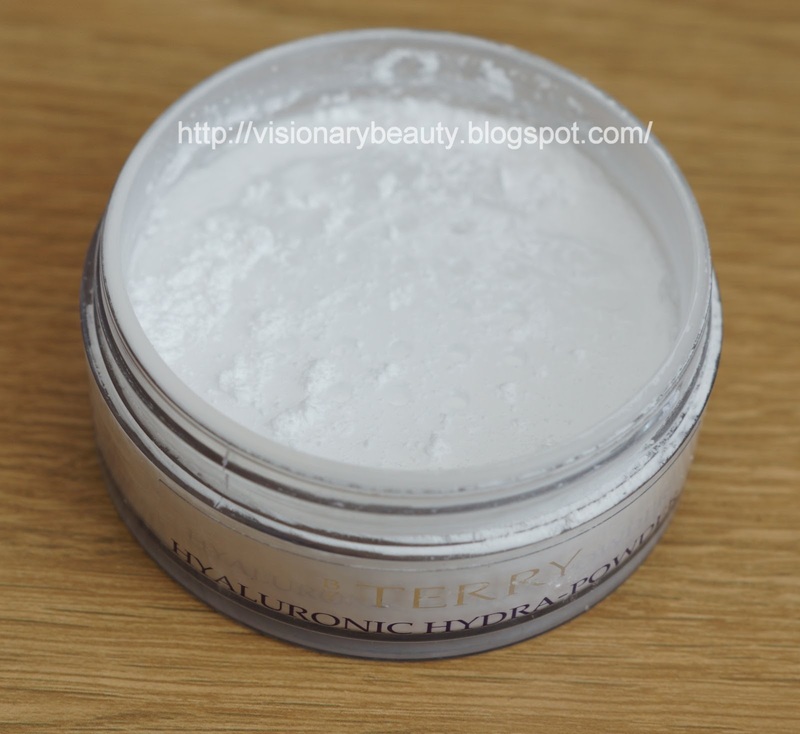 By Terry brought out a Hydra primer and powder this year. The powder's Micronized Hyaluronic Acid is meant to fill "wrinkles, pores and imperfections to leave the skin even and flawless" whilst the "Silica microbreads prevents shine in target areas with no drying effect and corrects imperfections with a matte invisible finish". Pores are a major problem for me so the description and my trust in By Terry's formula's sold me on this. The powder (£41) comes packaged in a plastic sifter jar. 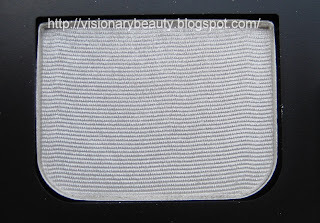 The powder is so finely milled it literally floats up into the air when you dispense the product. Due to this light texture it is worth being careful as it floods out of the holes. 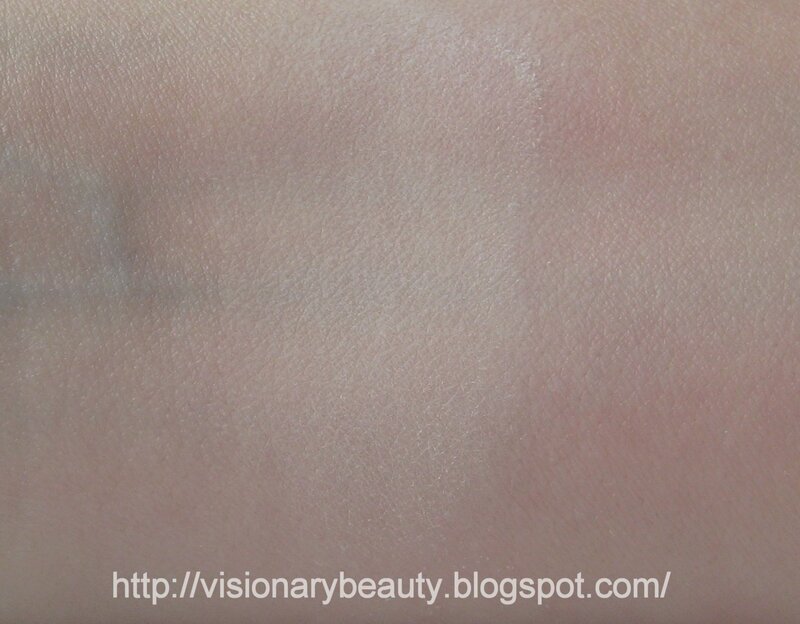 The powder does have a strong white cast but this seems to disappear once its worked in (though my skin is very pale so worth noting for those with darker skin). The powder really does glide onto the skin, it feels akin to a heavy silicone formula in that the area feels incredibly smooth to the touch. 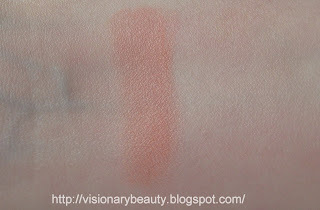 The problem I found is that I cannot apply product over this, the area is just so smooth that blusher/highlighters do not apply well as there is nothing to adhere to. 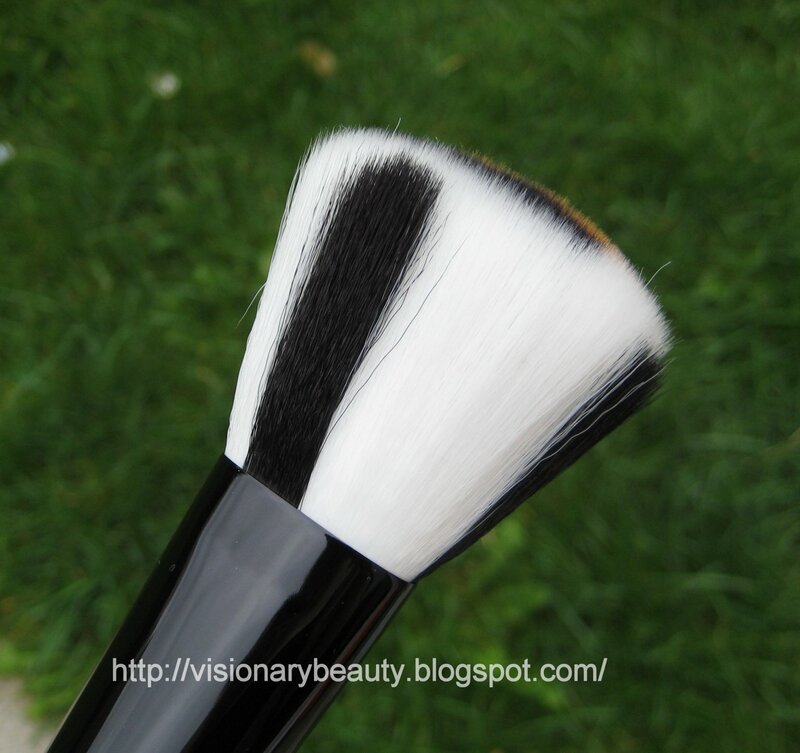 I've also tried using this under foundation but again application over this is a problem, the differing textures just don't seem to work together. 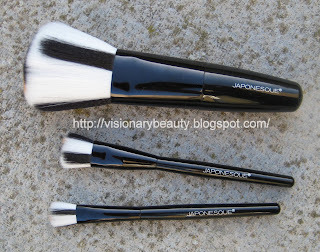 For me this does soften discolouration slightly and sets make-up for around 5 hours. My skin is predominately dry, but I do get bad shine on the T-zone, and I did not feel this looked dry (unless placed on uneven dry patches in which case I found this does highlight them) and it does obliterate shine extremely well and prevent anymore appearing. Where this falls down is with its claims for covering pores. Sorry but no, it ever so slightly reduces them as much as any other powder, no more. 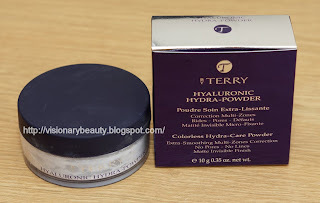 This is the first By Terry product where I feel disappointed by the formula, the slickness of it makes it difficult to work with in terms of applying other products and it just didn't live up to its claims to "fill" pores. 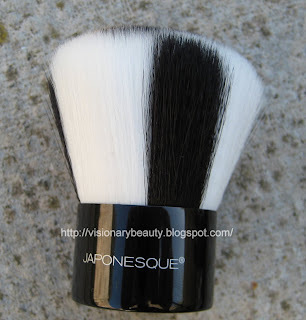 So overall whilst I do think this is a great powder for shine control (without giving an unflattering finish), it really did not offer anything more beyond this and at this price I do have higher expectations. 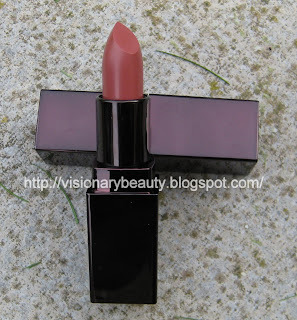 Quite a few brands have brought out new lipstick formula's this fall, the focus being on rich, highly saturated colours. The Crème Smooth Lip Colour are meant to give the "ultimate in colour, texture, and finish" well you can't ask for more than that can you? 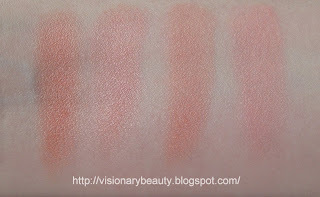 All the colours I swatched at the counter most certainly were pigment heavy and gave very good coverage. 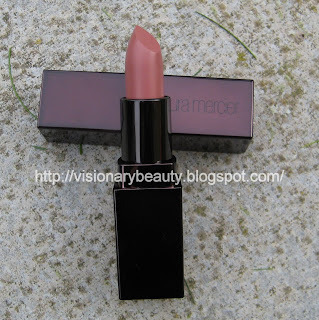 Now there is a lot of pigmented lipsticks on the market, where they usually fall down is the texture/feel, unlike a lot of them Laura Mercier's do not feel drying or drag on application (though I wouldn't go so far as to label them moisturising). 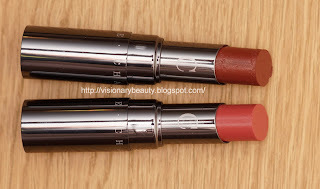 Another aspect of this type of lipstick is the weight and unfortunately I don't think these have been able to give a lightweight feel, its not uncomfortable but there is that bit of heaviness. 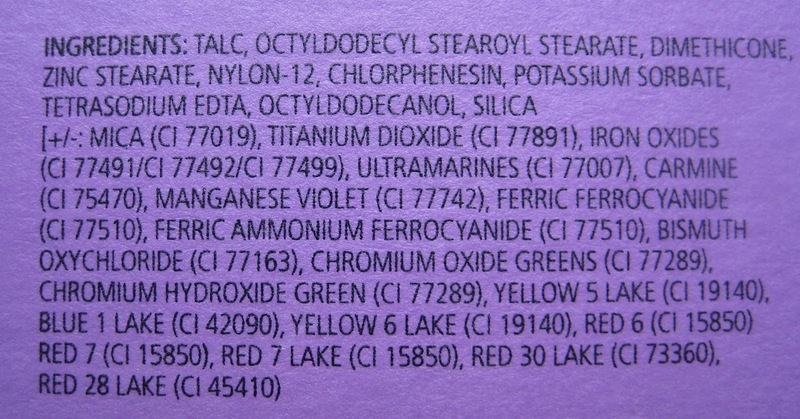 In terms of wear I found both colours to last well and not bleed. I of course bought the most sedate looking colours (I'm nothing if not consistent), though the collection has some lovely reds and deeper hues. 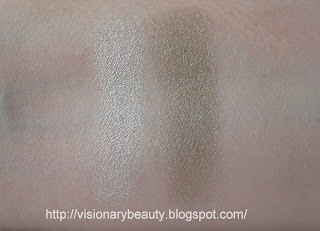 Both shades (£20 each) have a very slight sheen in the finish. Overall I'm quite happy with these and might go back for a darker berry shade that caught my attention. 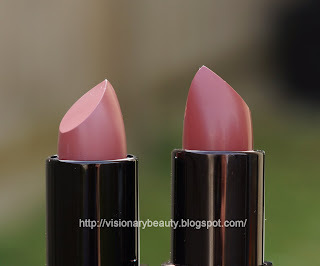 If there's one thing I'm consistent with its my buying of Rouge Bunny Rouge, oh the travesty were I not to buy something at least once a month from this beautifully whimsical brand. 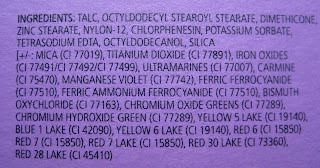 I finally got round to buying Umber Firefinch which is one of the new shades that comes in the refill format only. Its a satin finish cool toned medium brown. I find cool browns hard to come by so am really pleased with this. 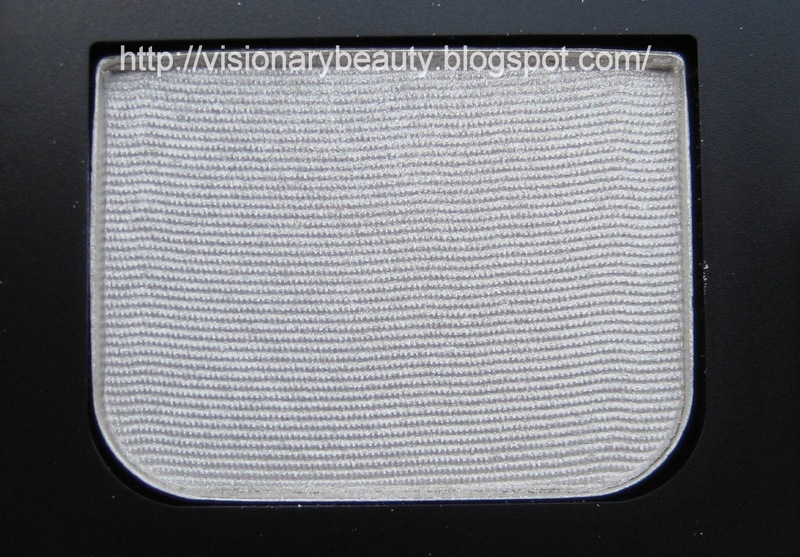 Unforgettable Oriole is a shade both available in a single eye-shadow compact or a refill (£16 for a refill). 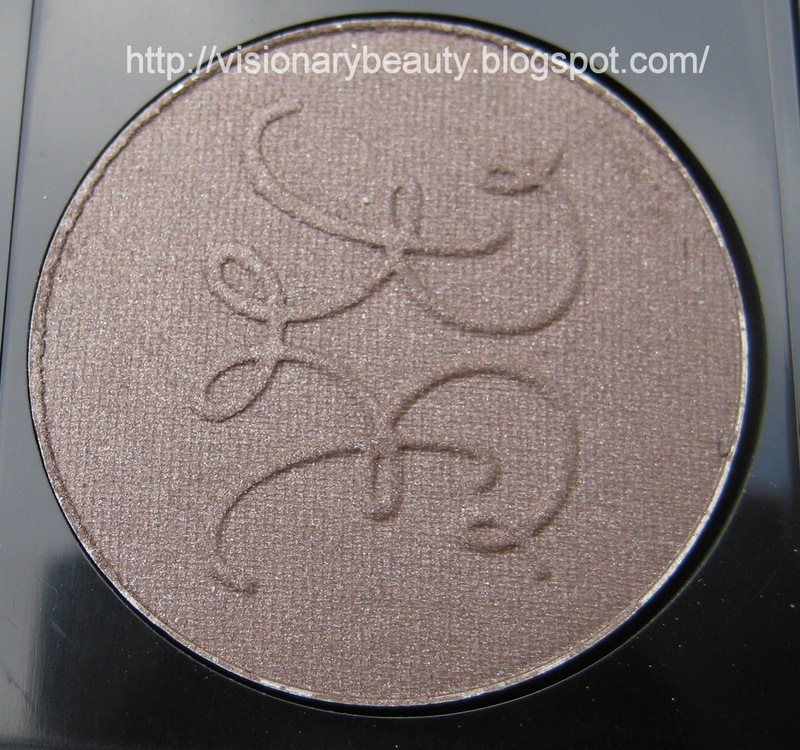 Its one of the metallic finish shades so expect a high iridescent/shimmer finish. 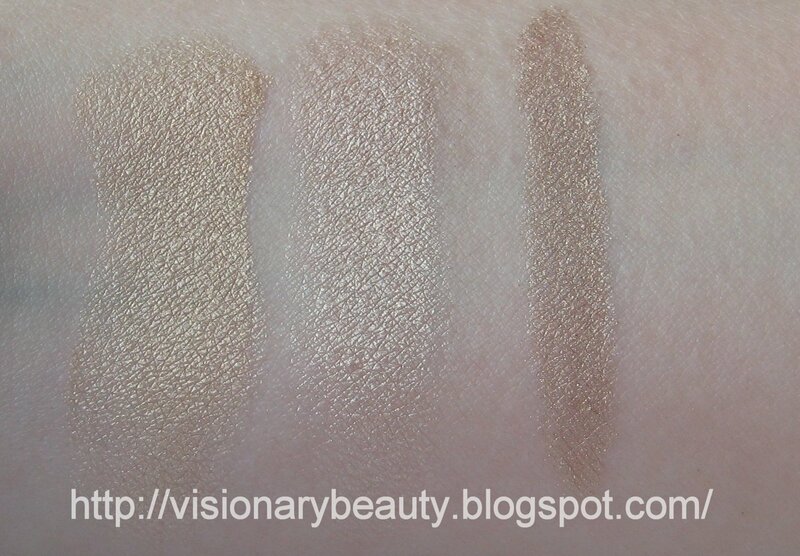 Its a cream gold that manages to not be overly warm; a welcomed attribute as there are not many golden type shades I can wear on my cool toned skin. Swatched below with some other RBR shades. L-R Blackpepper Jay,Umber Firefinch,Bejewelled Skylark. Both shades feel smooth, have great pigmentation,blend perfectly and last well. 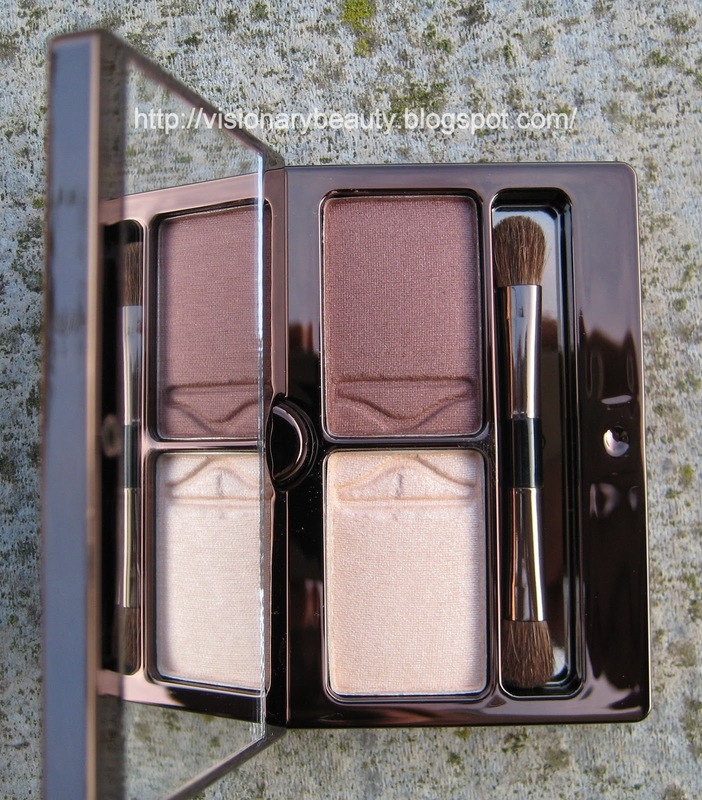 RBR remains one of my favourite eye-shadow brands and one I feel happy to recommend or buy as gifts for others. I really hope that RBR release all their shades in the pan version as I have hit pan on quite a few now and do find a palette system allows for better storage and organisation. 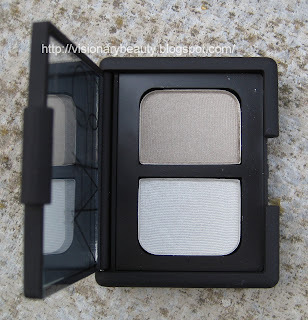 I was somewhat dubious of the Vent Glace (£24) duo from the Nars Fall collection, it looked like one of those combinations that could easily turn to frost, yet the more blog posts I saw of the duo, I couldn't withstand the call anymore. On me its a light silver white with a shimmery, frosted finish and a shimmered dirty grey/sage (a hard to describe shade, but undeniably interesting). 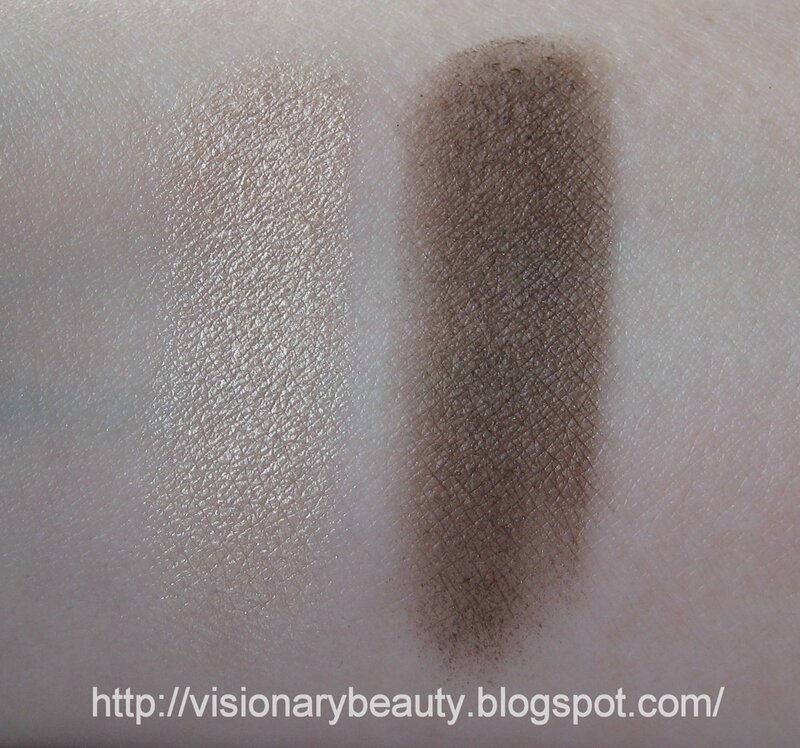 I can't help but wish that the lighter shade was omitted and replaced with something a bit deeper to lend a bit of balance, as whilst the colours are pretty I feel it registers as too icy looking on my skin. 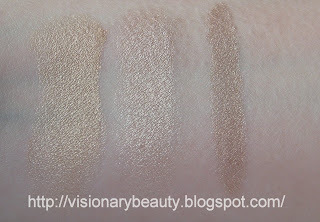 The pigmentation is good, and they feel soft and smooth, I do need a base to get these to last and not crease. Part of the beautiful Fall collection, the elephant embossed limited edition fun cheek shade (£30) is a real gem. 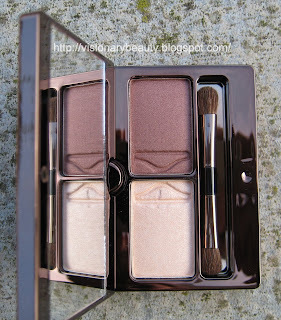 Like the eyeshadow palette (reviewed here), five percent of proceeds will be donated to the David Sheldrick Wildlife Trust, an organisation that rescues, fosters and release baby elephants orphaned by ivory poaching. 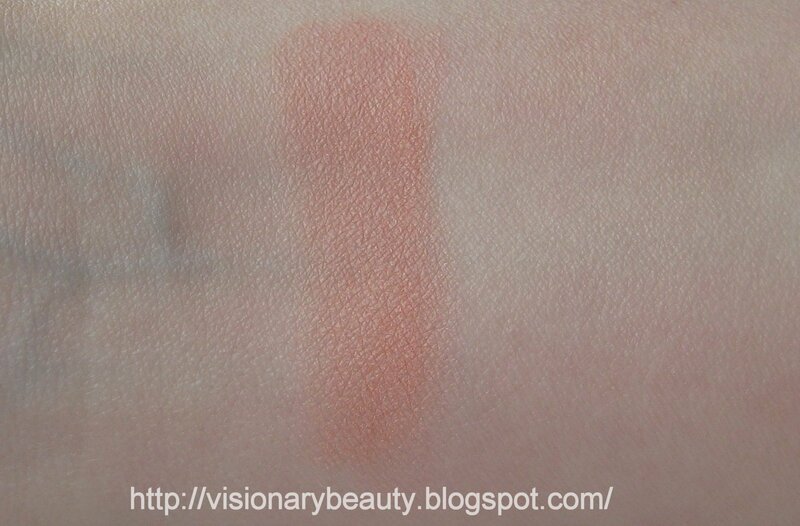 The Fun cheek shade is described as a soft apricot, I tend to think of apricot as a slightly yellow orange peach so for me I'd say this is more of a subtle true peach shade with a satin finish. 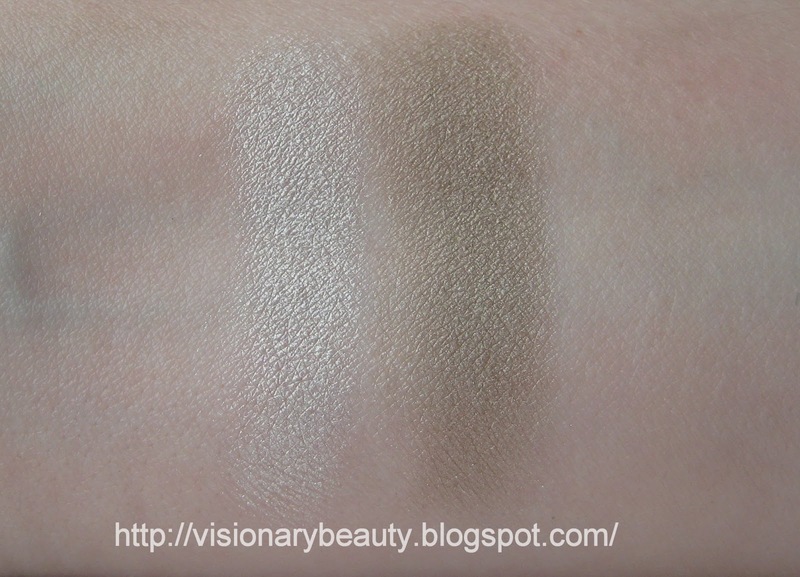 It does have a shimmer over spray which makes it look a bit darker than it actually is (the overspray is gone after one use). It has a smooth very lightweight feel, and blends smoothly onto the skin. 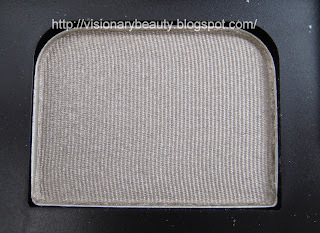 This type of shade is a great face brightener and the tones of this do not compete with the rest of my makeup so I am able to wear it with any eye look. I have similar colours but not any dupes. Swatched below L-R Benefit Coralista, By Terry blush Terrybly #100 Torrid Peach, Chantecaille Fun, Sisley Phyto-Blush Eclat #05. 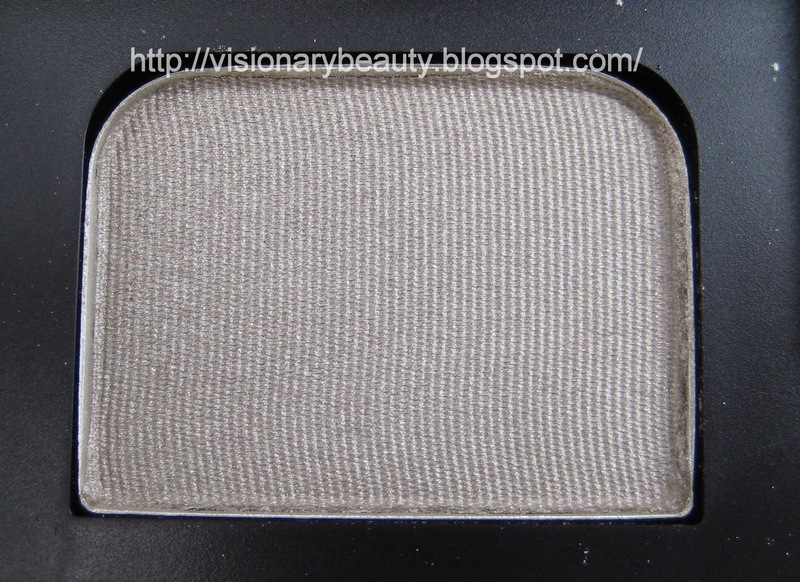 This is just such a wearable shade that instantly enlivens the complexion. Japonesque have brought out a rather eye catching collection of Leopard print brushes. 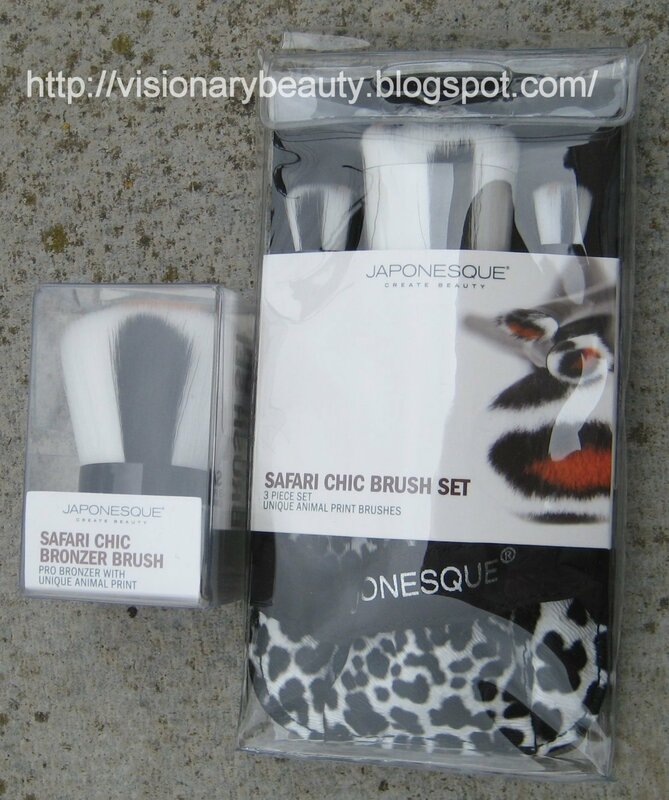 The collection consists of a kabuki Bronzer Brush (£19.50) and a brush set (£28) that contains travel sizes of a blush, shadow and crease brush. 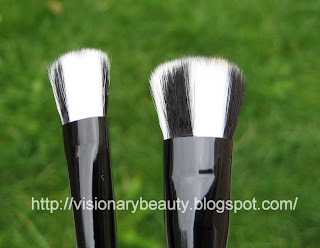 All the brushes have synthetic bristles. The brushes are densely packed but manage to still be soft. 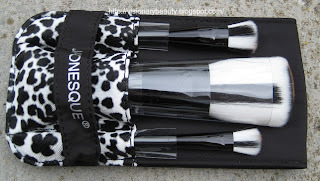 All the brushes are multitasking, I tend to use the eye brushes for concealer as well as blending and applying shadow. The bronzer and blush brush works well for bronzer, foundations, face powder, blusher,and highlighter. 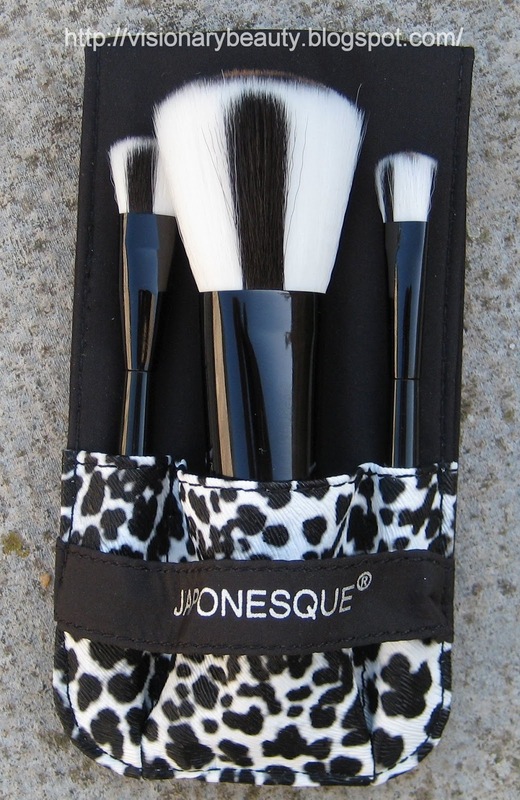 The brushes managed to really pack on product but buff it in effortlessly, working well with powder, cream or liquid. Another attribute is that they wash up well and keep their shape. I don't have any negative to say other than personally I'd like the option of longer handled versions so they fit in my brush pots (that's being ultra fussy I know). Overall I'm really pleased with these, they have managed to combine a fun design with great quality at an affordable price. Disclaimer: These were sent to me for free for review purposes.